Smart Moving Mod for Minecraft is now available. Smart Moving Mod allows you to Climb on the walls, crawl through thin ways and helps in the long jump. Smart Moving mod is one of the essential mod for Minecraft when playing quests on survival maps, finding resources etc. 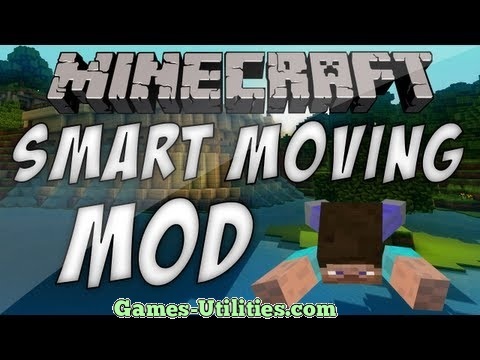 The latest version of Smart Moving mod is here with the compatibility of Minecraft and previous versions. So check the rest of information below. Description: A Minecraft mod which helps in moving. Requirements: Requires PlayerAPI and ModLoader or Minecraft Forge. Note: You will find detailed installation instructions in readme.txt in mod zip file. So guys have fun playing Minecraft with your favorite Smart Moving Mod and don’t miss to comeback here and check the latest updates of your favorite game online here.